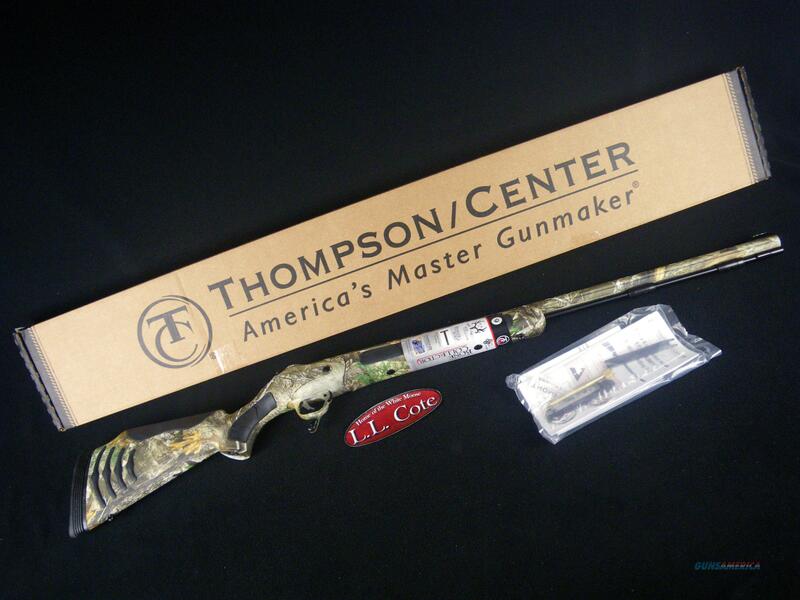 Description: You are bidding on a Thompson Center Triumph Bone Collector in 50cal with a 28" barrel. Professional hunter Michael Waddell fills his tags with the muzzleloader coined after his nickname, the T/C® Triumph Bone Collector®. From the accuracy and innovation, to the touch and feel, the American-made T/C® Triumph Bone Collector® muzzleloading rifle meets and exceeds the standards of the most discerning black powder hunters. You’re not going to find a better-equipped muzzleloader out there than the T/C® Triumph® Bone Collector. with the ultra-light frame, made from aircraft-grade aluminum, and the features you need, but not the bulk you don’t. The T/C® Triumph Bone Collector® muzzleloading rifle accepts magnum charges of up to 150 grains of FFG black powder, or equivalent black powder substitute. So get your own T/C® Bone Collector® muzzleloader today and “Get in the Brotherhood.? Displayed images are stock photos. Any questions please feel free to ask (our phone number is in the additional information tab above).